Do want to increase your typing speed? Typing is one the most important skill to get a good job. If you have good typing speed or you are familiar with keyboard so you can operate computer faster than others and that's makes you better than others. So it's extremely important to having a good typing speed. If you are a student or housewife so you can do part time work just because of your good typing speed. It could be extremely beneficial for you. You can do data entry or backend jobs where just having good typing speed is enough to get job. 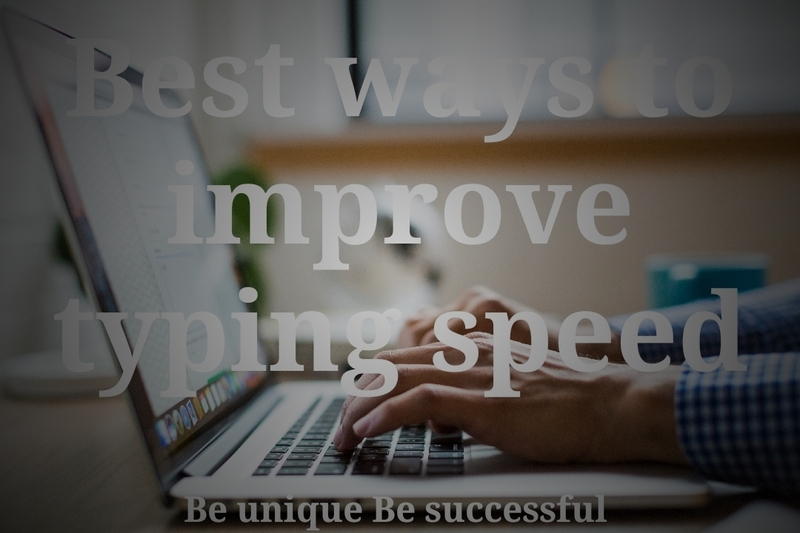 So if you want to increase your typing speed and you don't know how to do it so here we have most effective ways to improve your typing speed. Which will definitely increase your typing speed. This is most important tips to improve your typing speed. You should use keyboard for typing. If you will do this gradually your fingers will be familiar with keyboard keys and your typing will be improve gradually but make sure you have to practice daily you have to be used to of keyboard keys. This will help you to improve your typing speed fast. Every day we use our mobile in thousands time and we can't control our self to do it because it's turned our habit but if you use your mobile with keyboard so then you will experience that you are using your personal computer and in this way your typing will also improve. If you don't know how to connect keyboard with phone? So it's very simple. You need a OTG cable and a USB type keyboard. Then put OTG cable into your charging jack and connect your USB keyboard with it. This is the best and interesting way to improve your English. There are thousands of typing game which you can play in your phone and believe me it's to interesting. In this way you will improve your typing speed in fun way. So download typing games in your PC or android mobile and play. We spent our lots of time in chatting with our friends on social networking sites and we can't change it. But you can do one thing you can use your keyboard for typing while you are chatting with your Friends. In this way your typing will improve as well as you can talk with your friends. Two works together. Well it's very important that you should use proper technique. If you will not use proper techniques you will never be able to type fast. So make sure should use proper technique to type on keyboard. You index fingers should be always on F and J. 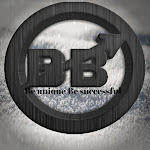 In beginning you might face some difficulties to type with proper techniques but never give up good things take time but once you will be used to of it then you will be able to type without looking keyboard. Sometimes we sit in wrong posture which makes us uncomfortable to type. So make sure you should always sit straight. Your keyboard should not be above you nor below it should be on proper level which is comfortable for you. Once you will feel comfortable your fingers will move more faster and your typing will speed improve. Make sure that you should know your current typing speed and you have to track your progress of learning. There are many websites on Google where you can check your typing speed or you can download typing master in your computer. So you have to check your typing speed once or twice in a week and write down your results somewhere so that you can do comparison between your current speed and your progress. It never happens that you can learn a thing in just one day and typing is one of those skills which takes time to improve. In this journey you will be demotivate or you might think that you should leave typing learning but don't give up on that time. It doesn't take more than one month to get perfection in typing but make sure you should type daily for at least one or two hours and you will see results that. You will be able to type without looking keyboard with good speed. 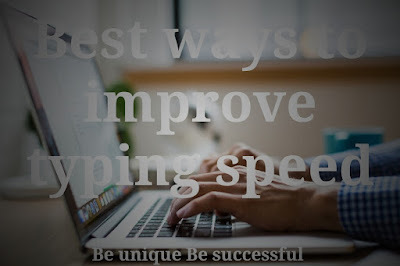 I hope this article"Best ways to increase typing speed" helped you to know about how to improve your typing speed but still if you have any doubts so you can ask in comment section below.